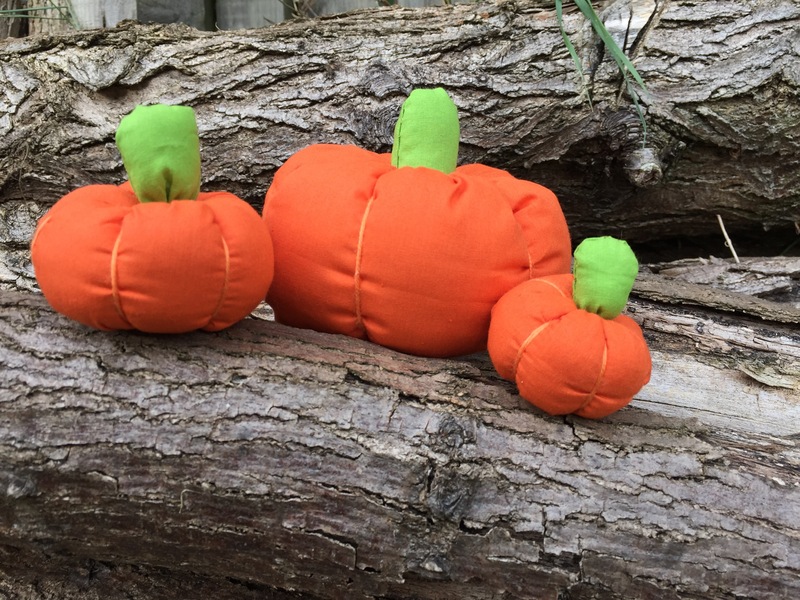 Almost time to go pick a pumpkin, until then here are some fabric ones! 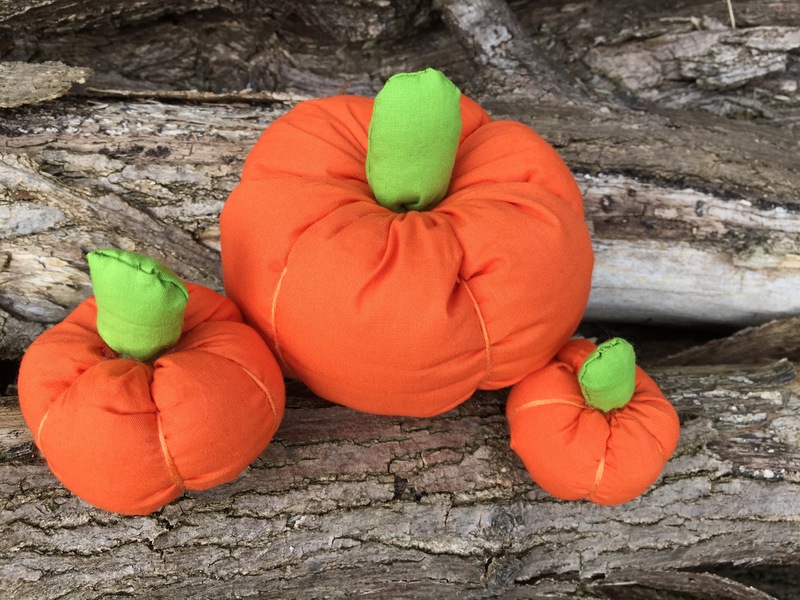 I have seen quite a few fabric pumpkins on my Pinterest feed lately and really wanted to make some for Halloween. It was only while rummaging through my craft drawer yesterday looking for some wool when I suddenly realised I still had some orange and green The Craft Cotton Company fabric left over from when I made the hexagon patchwork spider (Brights fat quarter bundle). 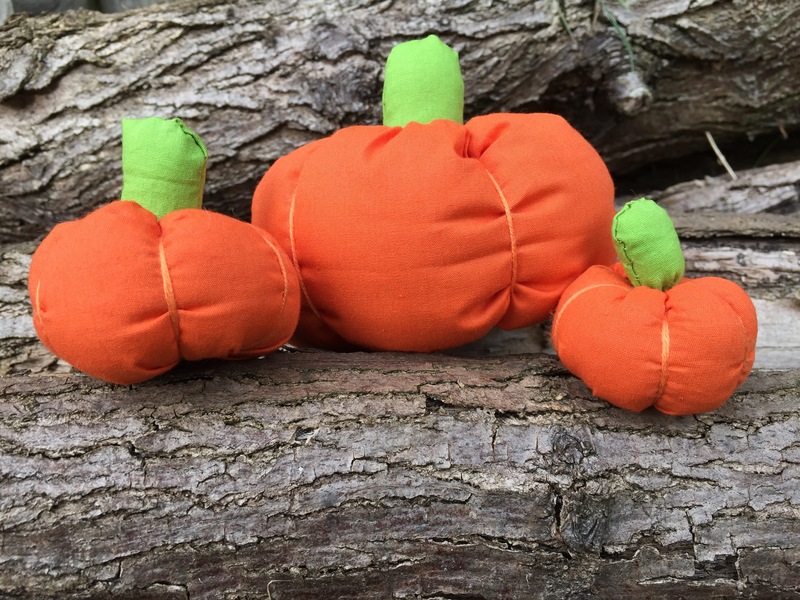 I knew this fabric would be perfect to make some, so I got cracking making them. I really need to sort out my craft drawer – there’s all sorts hidden away in there! These were so easy to make and they look great, I think might make some bigger ones to go with these! Thank you, couldn’t resist making them!